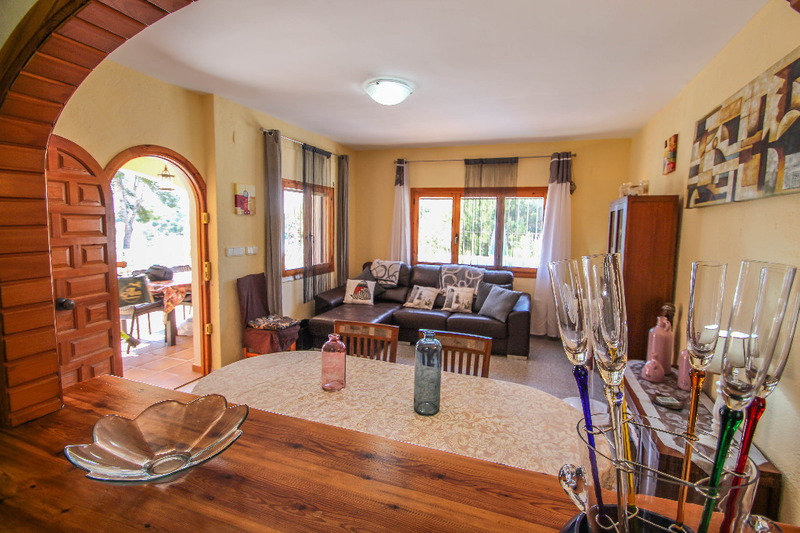 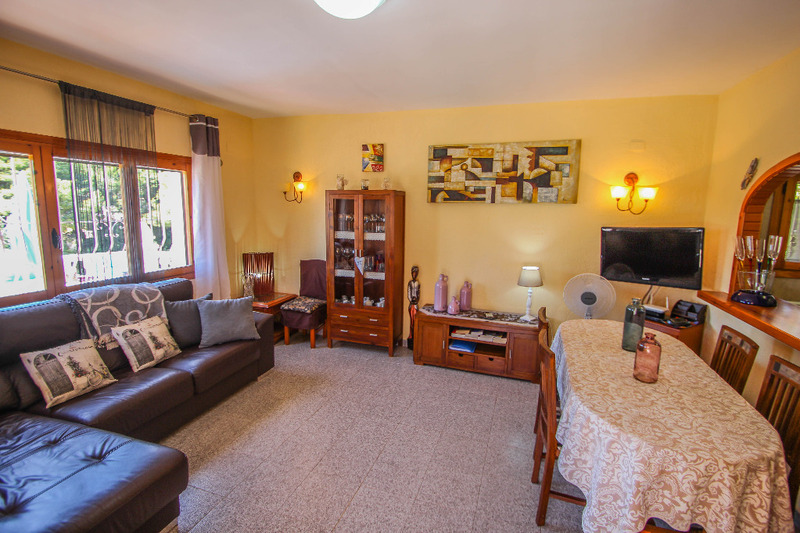 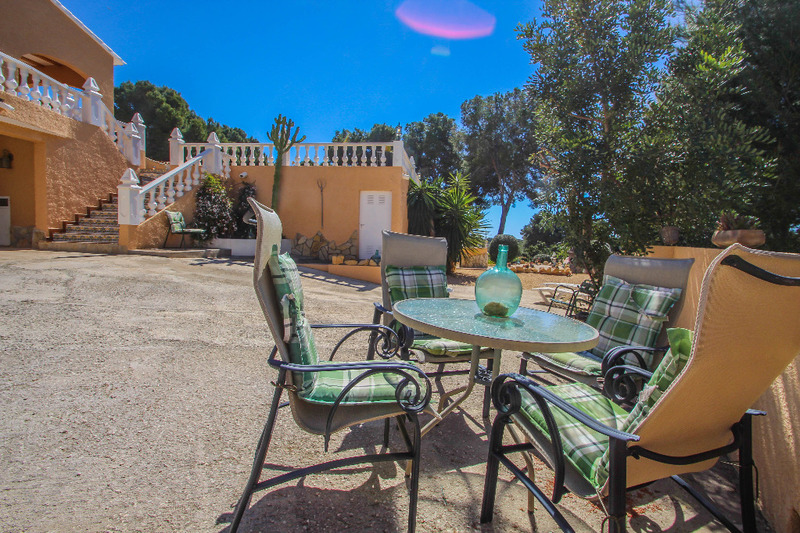 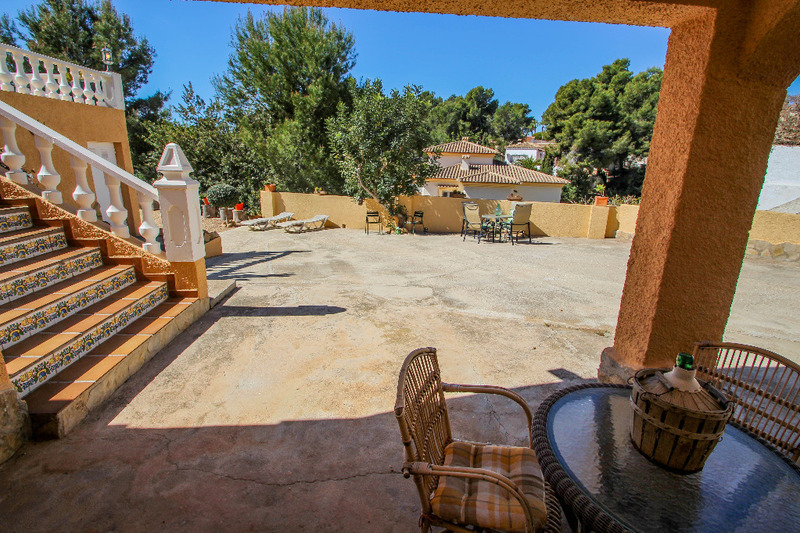 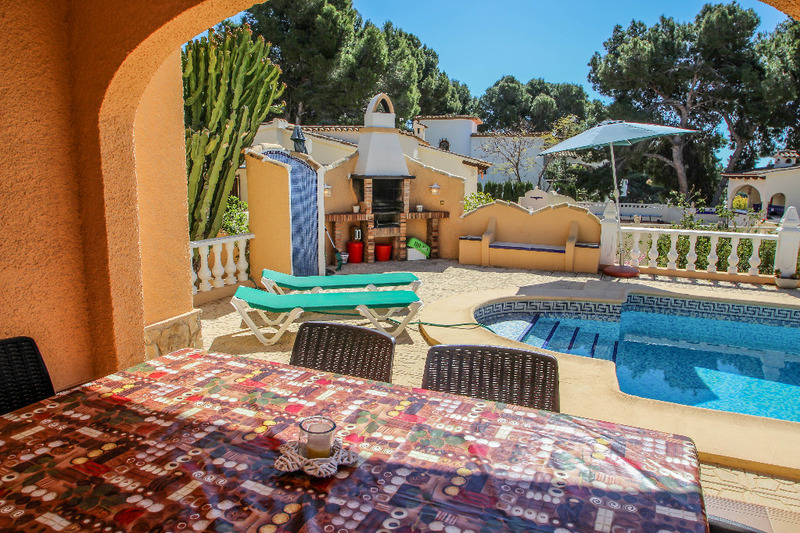 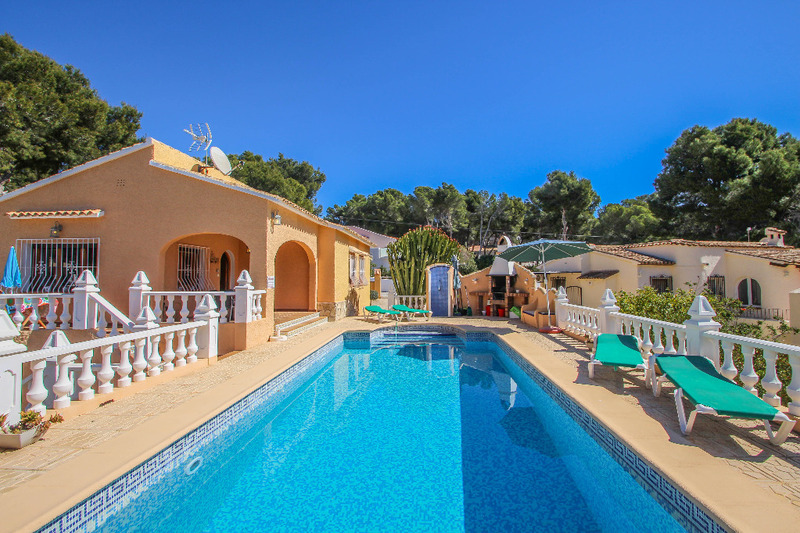 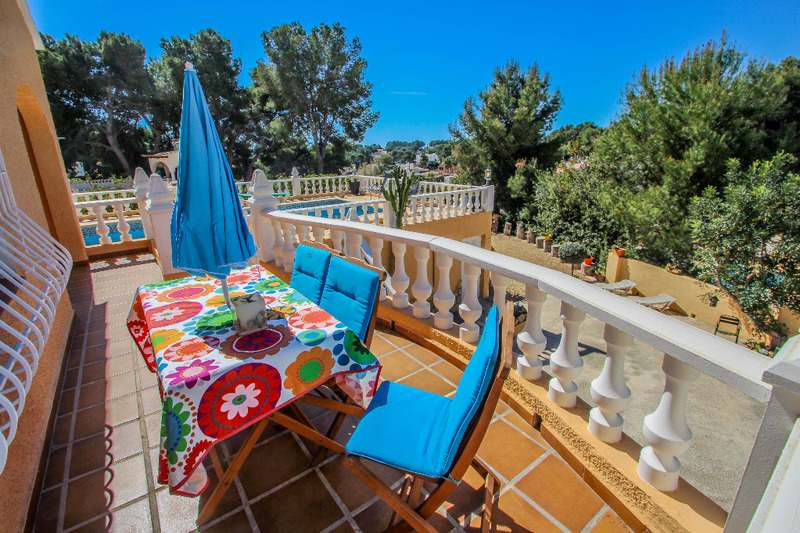 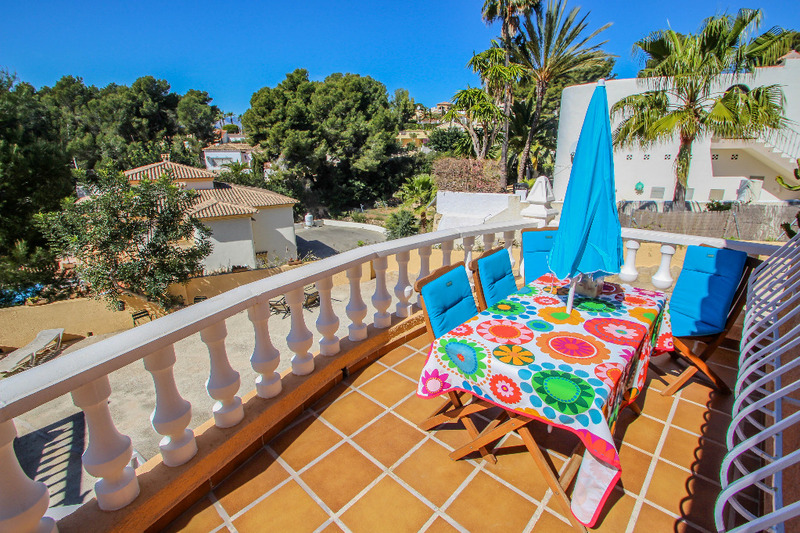 Welcome to Sofia, a charming villa located in the very quiet residential area of Moravit by the outskirts of Moraira. 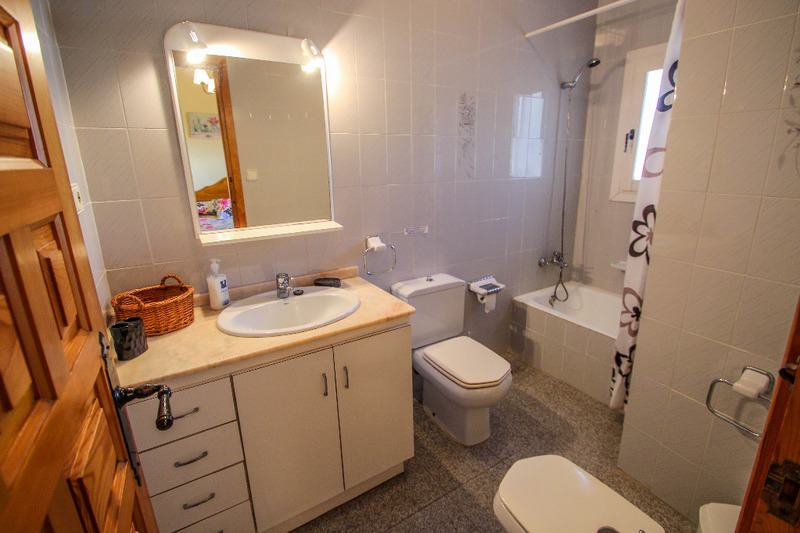 At less than 5 Min. 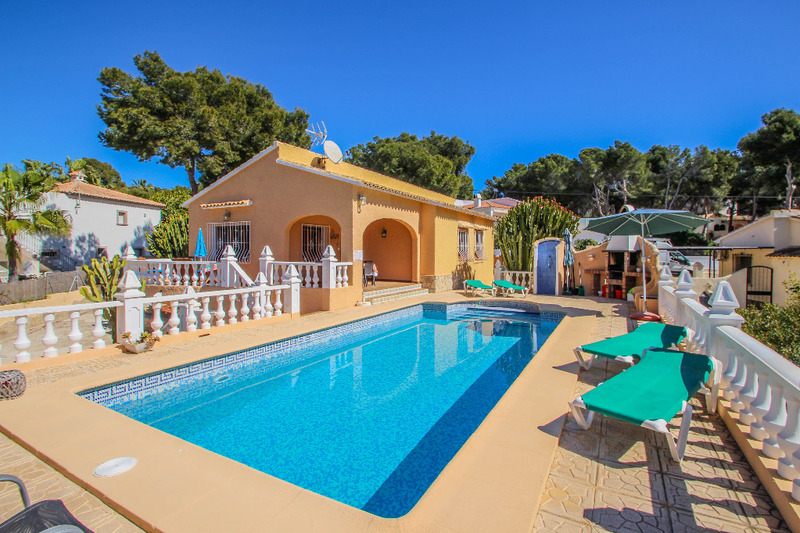 drive along the unrivaled coast road right next to the sea, we find the center of the coast town of Moraira where various coves and 2 of the most refined beaches can be found together with various water activities. 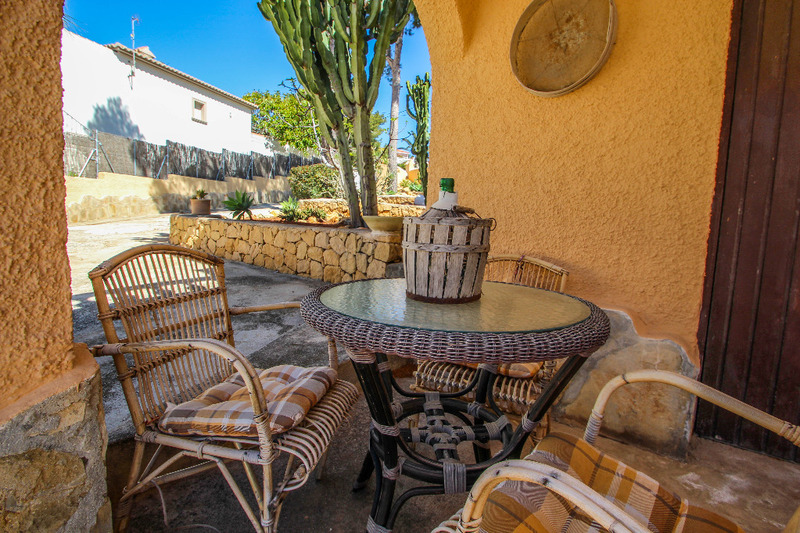 A supermarket and a large variety of bars and restaurants will be found within walking distance, along the coast road. 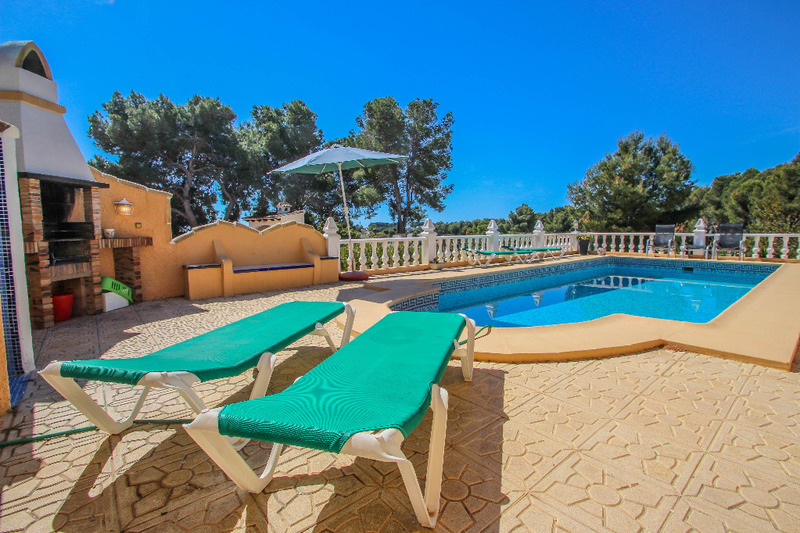 Furthermore, a golf course and various tennis courts are available nearby for the sport enthusiasts. 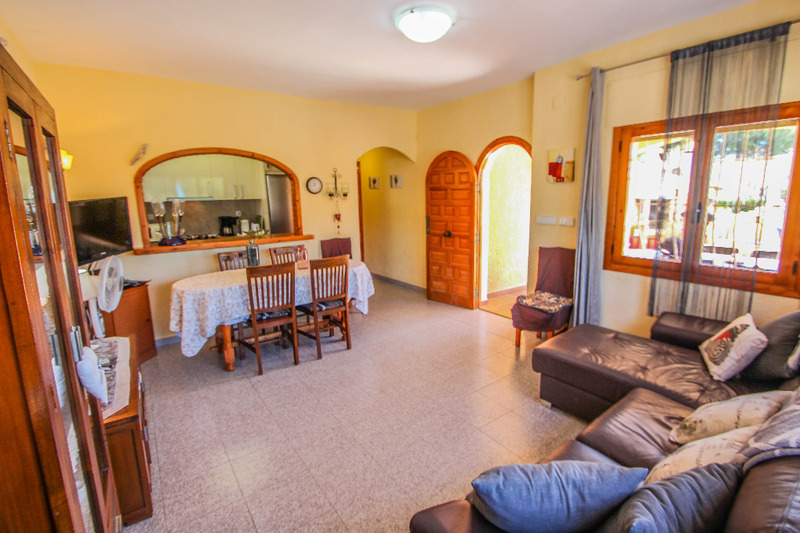 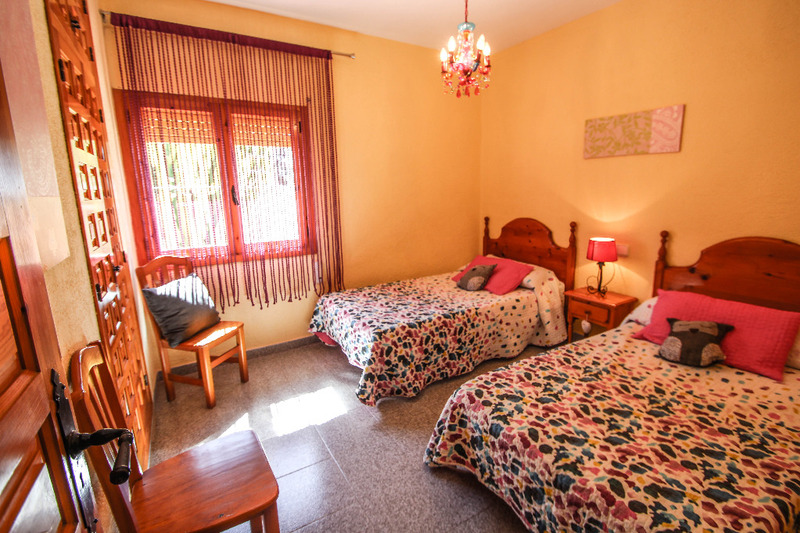 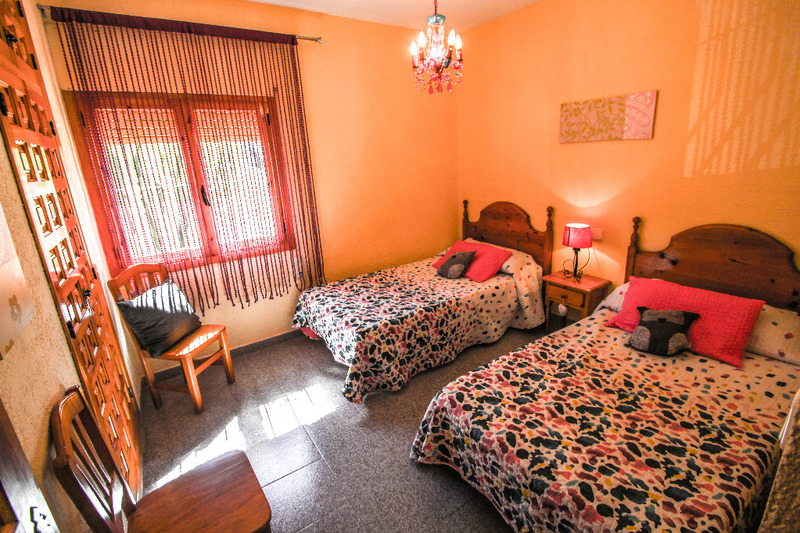 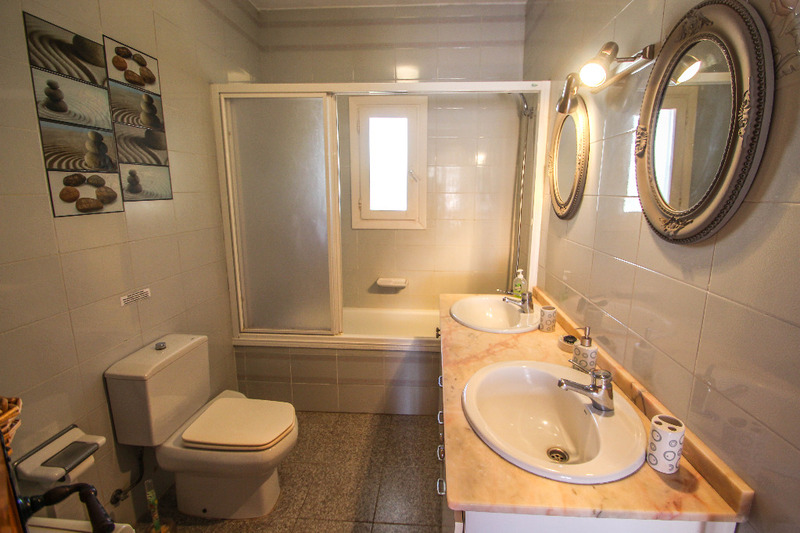 Villa Sofia provides us with both, a convenient location and a quiet charming environment. 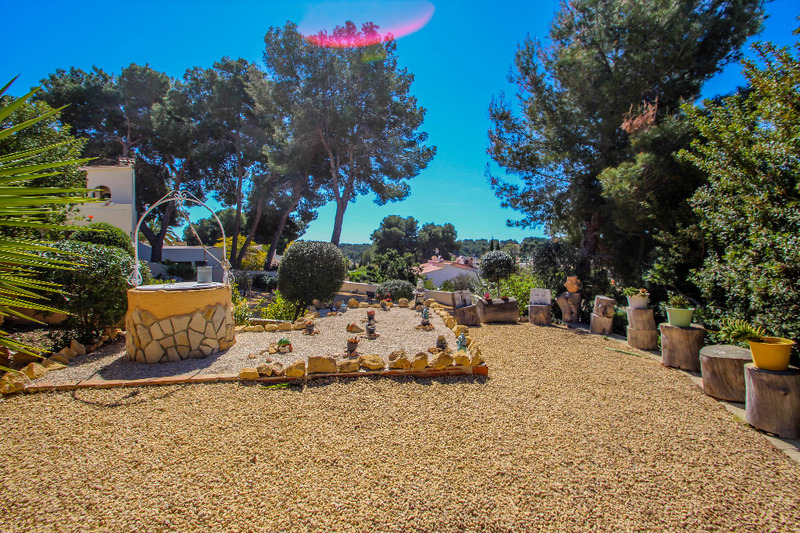 By the drive of villa Sofia we find parking for 2 cars, flowing toward a spacious exterior surrounded by a lively Mediterranean garden filled dominated by palm and pine trees. 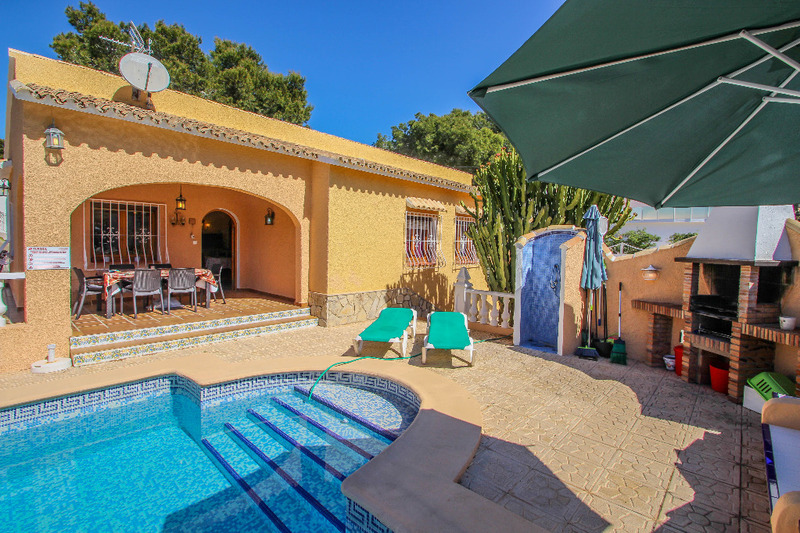 A few steps lead up to a wonderful terrace with a private swimming pool forming the heart of this lovely home, surrounded by sun beds, an exterior shower, a built-in BBQ together with a covered dining area leading directly toward the interior of the villa. 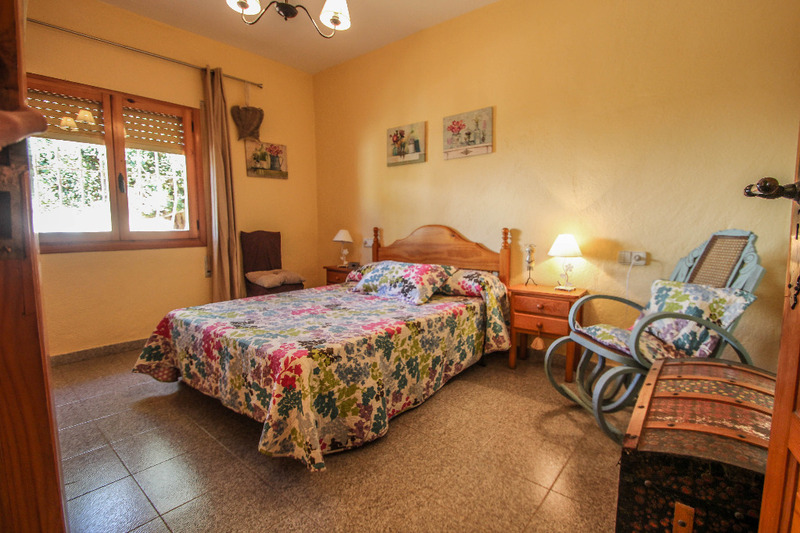 The entire accommodation of villa Sofia is on one floor, at the same level as the pool area. 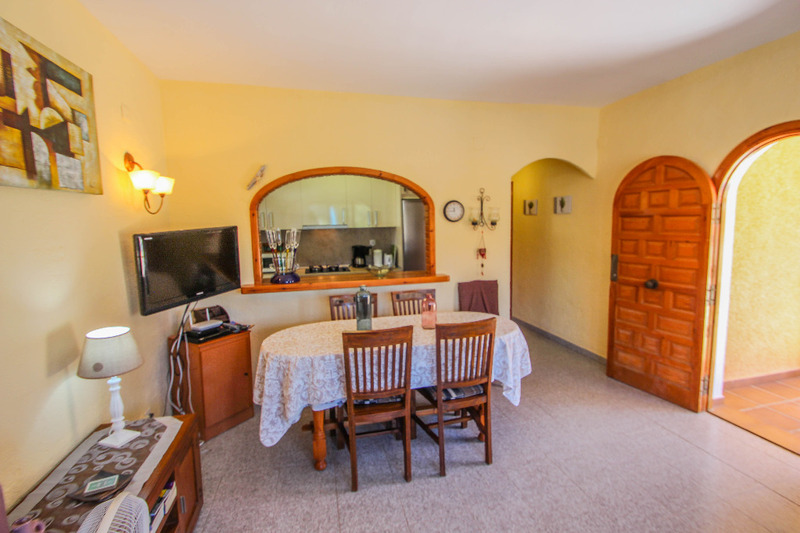 From the covered dining area, we enter into a cozy living/dining room with Sat+TV+DVD next to a modern fully equipped kitchen with dishwasher. 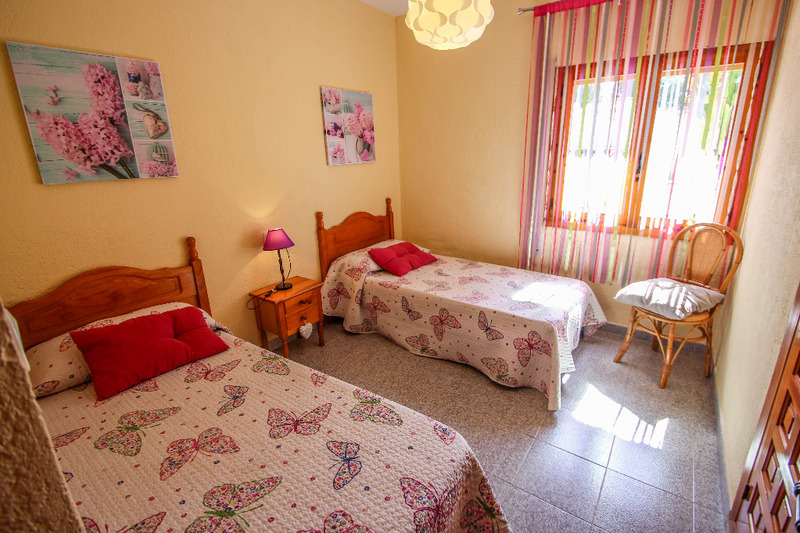 Follow through 2 twin bedrooms sharing a bathroom and a double bedroom with an En-Suite bathroom. 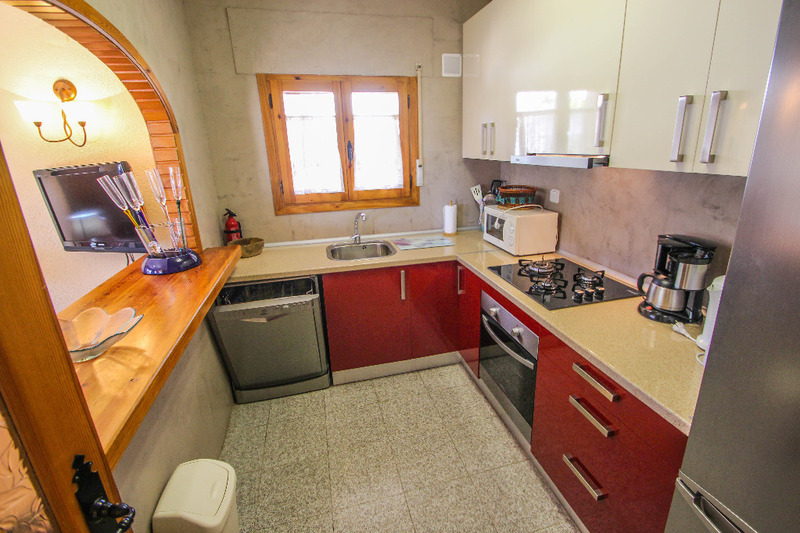 All 3 bedrooms are equipped with A/C units.